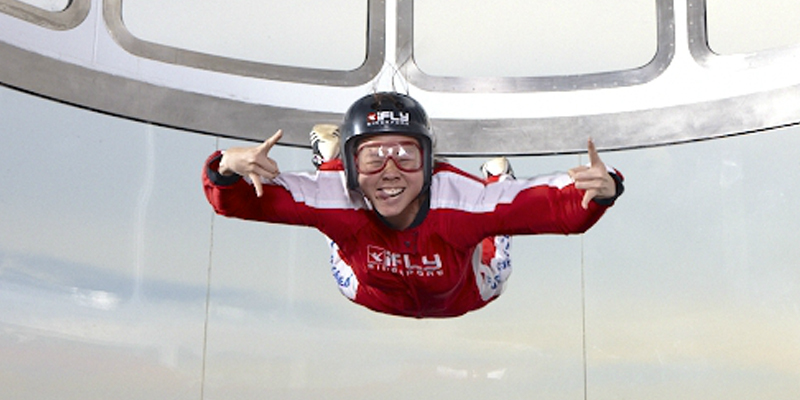 Let someone enjoy the fun of skydiving at iFly Singapore. This gift includes 2 skydives and a flight certificate. iFly Singapore does also make sure you get a proper flight demo and safety training prior the sky diving takes place as well a...	Read More..
Let someone enjoy the fun of skydiving at iFly Singapore. This gift includes 2 skydives and a flight certificate. iFly Singapore does also make sure you get a proper flight demo and safety training prior the sky diving takes place as well as the gear and equipment needed. iFly Singapore is the world’s first largest themed vertical wind tunnel for indoor skydiving, measuring 16.5 feet in diameter and 56.5 feet tall. The state of the art patented technology ensures a high degree of safety and accommodates all types of flyers, from first timers to seasoned skydivers and military operations. With its huge size and many different airspeeds, the wind tunnel enables flyers to execute a variety of movements with ease.